Many CPAs and accounting firms are discovering that the Cloud is actually a safer IT solution for their important data. And it offers a number of exclusive benefits. It can increase your staff’s productivity and help them get repetitive jobs done faster. Accountants and CPAs in Muskegon and Grand Rapids understand that the Cloud is an important component in the future of IT service. Why is Cloud Technology Recommended For CPAs And Accounting Firms? The Cloud provides better security than storing files on servers and hard drives. Your files will be encrypted and accessible only to your employees. Your network won’t be exposed to hackers and viruses. With Mobile Device Monitoring from Next I.T., employees can safely use their own phones and computers. An enterprise-based cloud solution allows you to recover your entire IT infrastructure quickly, applications and all. Servers, desktops, files, and applications are all stored in a secure data center. This is essential for business continuity and disaster recovery. With cloud computing, you don’t pay upfront fees to license software. You can sign up for Office 365, your accounting programs or whatever software you need on a per-user basis. This is a good solution for smaller CPA firms because it’s budget-friendly. You can designate these as business expenses rather than capital expenses. Cloud computing gives you the ability to work from home, while on vacation or at a local coffee shop. 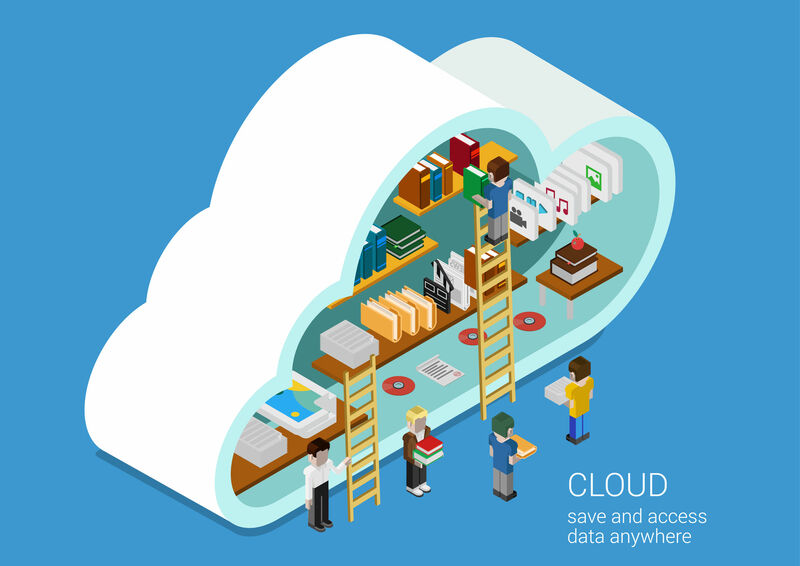 Your files and documents are in the cloud, so they’re available when and where you need them. Your staff will always have access to the most recent edits of any document. Hosted Microsoft SharePoint: With SharePoint you can create a secure and customizable online portal to promote teamwork and simplify collaboration. Hosted Microsoft QuickBooks: Easy-to-use, even for new employees. Hosted Microsoft Exchange: Exchange ensures the reliability and security of your emails. Custom Application Hosting: Custom application hosting is a tailor-made support system aligned to your unique business needs. When you store and edit documents in the Cloud, your files are stored in a central location so your staff has access to the most up-to-date version. Document control is much easier with the right cloud solutions. Collaboration on documents is simplified. CPAs and accounting firms are usually swamped during tax season, then slow during other parts of the year. You can scale up your cloud solutions in busy times or scale them down when things are slow. No need to waste money on services you don’t currently need. Because you pay for cloud solutions on a per-user basis, you can readily adjust them. Your firm will be more competitive when you use cloud computing solutions from Next I.T. If you run a small CPA firm, you can access enterprise-class technology that larger businesses use but at a more reasonable price. With pay-per-user applications, you can better compete. Cloud computing will also enhance your operational efficiencies so you can deliver services faster. Cloud technology streamlines so many procedures, while improving overall efficiency. CPAs and Accounting Firms in the West Michigan area have more time to focus on serving their clients and growing their business.